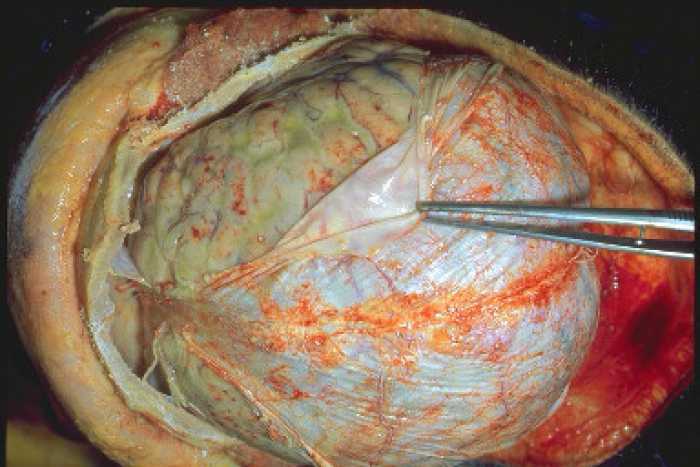 Autopsy specimen of brain infected with Streptococcus pneumoniae meningitis. One of the enduring zombie tropes of the antivaccination cult is that pathogens aren’t dangerous because the disease is not dangerous. Through a complicated, and thoroughly unsupported by evidence, revision of immunology to fit their needs, they think that kids with healthy immune systems don’t require vaccines, because their super immune systems, strengthened with homeopathic water and a handful of vitamins, will never succumb to diseases. In their arrogance, and pseudoscience beliefs, they think their kids have superior immune systems that can only be harmed by vaccines. Of course, their beliefs are unsupported by anything in science, just putting children at harm. Plus we have evidence of how avoiding key vaccinations do put children at danger. For a little background, meningitis is a disease caused by the inflammation of the protective membranes covering the brain and spinal cord known as the meninges. The inflammation is usually caused by an infection of the fluid surrounding the brain and spinal cord. The disease may develop in response to a number of causes, usually bacteria or viruses, but it can also be caused by physical injury, cancer or certain drugs. While most people with meningitis recover, it can cause serious complications, such as brain damage, hearing loss, or learning disabilities. For the purposes of this article, I will focus on bacterial meningitis, the pathogens for which vary across ages. Bacterial meningitis is probably the most serious of the various types of the diseases. There are several pathogens that can cause bacterial meningitis. Some of the leading causes of bacterial meningitis in the United States include Haemophilus influenzae (most often caused by type b, Hib), Streptococcus pneumoniae, group B Streptococcus, Listeria monocytogenes, and Neisseria meningitidis. In the United States, about 4,100 cases of bacterial meningitis, including 500 deaths, occurred each year between 2003–2007. Bacterial meningitis can be treated effectively with antibiotics. However, for successful treatment, it must be started as soon as possible after the infection is diagnosed. Appropriate antibiotic treatment of the most common types of bacterial meningitis can reduce the risk of dying from meningitis to below 15%, although the risk remains significantly higher among young infants and the elderly. 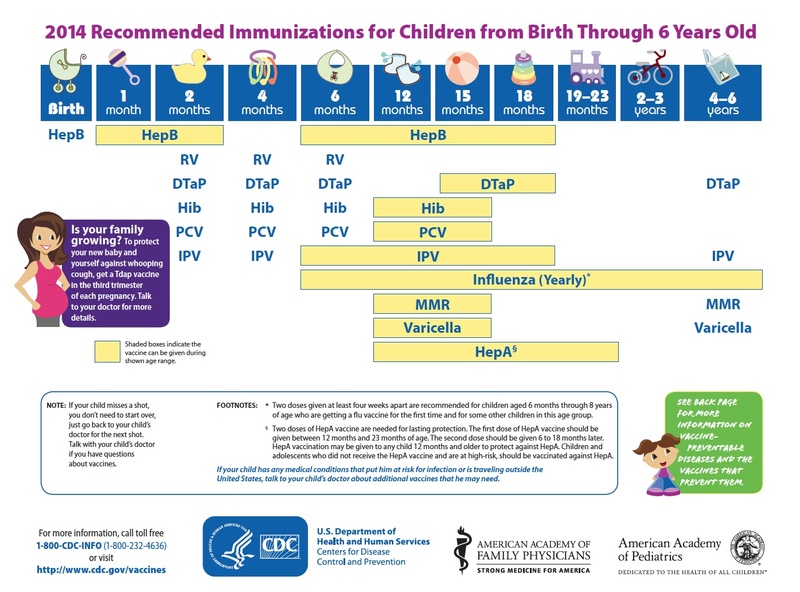 The most effective method to protect you and your child against these pathogenic bacteria that cause meningitis is to properly vaccinate against these diseases by following the recommended pediatric vaccine schedule (see image below). There are three common vaccines to prevent meningitis: Neisseria meningitidis (meningococcus conjugate vaccine, MCV4 and MPSV4), Streptococcus pneumoniae (pneumococcus conjugate vaccine, PCV13), and Haemophilus influenzae type b (Hib). A recent article published in BMC Public Health, by S Davis et al., did a systematic review of all of the published clinical trial data that provided data on the effectiveness of the Hib and pneumococcus conjugate vaccines on childhood meningitis. The systematic review, one of the most powerful tools in science to remove bias and provide the world with a scientific consensus, examined 18 studies that looked at the effect of Hib or PCV vaccines on meningitis morbidity and mortality. Davis et al. 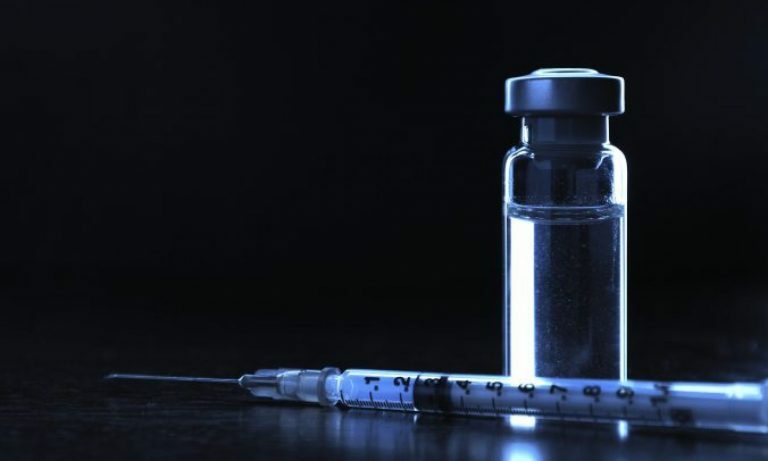 ascertained that childhood meningitis mortality was reduced by approximately 38-43% with three doses of Hib and by about 28-35% with the pneumococcal conjugate vaccine. In total, they determined that using both of the vaccines reduced the number of deaths from meningitis by about 66-78%. Every year, about 250-300 children die from vaccine preventable bacterial meningitis (this does not include teens who are more at risk for meningococcal versions of meningitis). Using the data presented here, 200-225 children’s lives could be saved if they were properly vaccinated. The way the antivaccination crowd talks, 200-225 deaths is not important, because it is too small. Or their perfect children would never catch this disease. Or their magical homeopathic potions will save them. Delusions all around. Vaccines save lives, and I just provided real scientific evidence in support of that claim. Unless the antivaccination lunatics have contrary evidence published in an equally respected journal, they’ve got nothing but their lies. Davis S, Feikin D, Johnson HL. The effect of Haemophilus influenzae type B and pneumococcal conjugate vaccines on childhood meningitis mortality: a systematic review. BMC Public Health. 2013;13 Suppl 3:S21. doi: 10.1186/1471-2458-13-S3-S21. Epub 2013 Sep 17. PubMed PMID: 24564188.